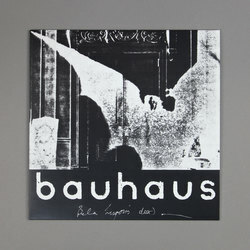 Bauhaus - The Bela Session. Vinyl LP. Bleep. 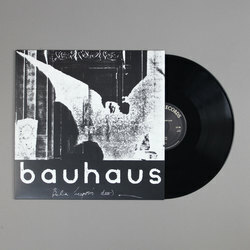 Bauhaus’ 1979 single ‘Bela Lugosi’s Dead’ needs no introduction. The song from which all subsequent Goth rock spawned still bewitches almost forty years on from its release. Funnily enough for a track of its influence, ‘Bela Lugosi’s Dead’ has never actually been reissued on vinyl. Leaving Records make haste to rectify that here. 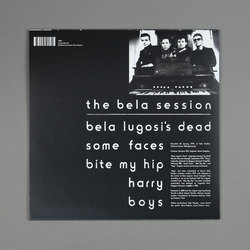 In fact, they go one better - while the original ‘Bela Lugosi’s Dead’ single was backed by ‘Boys’ and a demo of future Bauhaus classic ‘Dark Entries’, The Bela Session EP reunites ‘Bela Lugosi’s Dead’ not only with ‘Boys’ but also with the three other tracks the band cut at the same time (‘Some Faces’, ‘Bite My Hip’ and Blondie send-up ‘Harry’).